Lucknow is a beautiful city known for its rich culture, food, lifestyle, and much more. The city is filled with beautiful gardens and is known for its rich heritage. 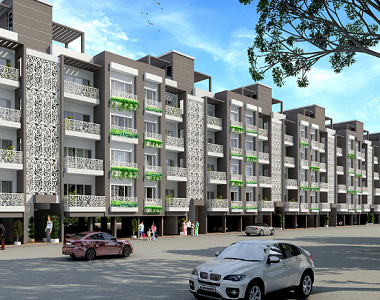 Paarth Infrabuild has launched a magnificent new project on Lucknow Kanpur Road in Lucknow, called the Paarth Republic. The luck now real estate is witnessing an all-time high only because of a Gardenia Residency project has elegantly designed luxurious, spacious and airy low-rise Independent Floors. The homes are surrounded by beautiful landscape and allow home buyers to live in sync with nature. Located in the prestigious mega township of Paarth Republic on Lucknow-Kanpur road, The Project offers 3 BHK Independent Floors ranging from 1660 sq. ft. to 1700 sq. ft. to meet the needs of different home buyers. Paarth Gardenia Residency floor plan is designed in such a manner to give maximum space utilization, ample sunlight and cross ventilation to home buyers. The residential floors offer several unique and interesting features and modern amenities including a VRV System, modular kitchen, video door phone, RO water system, gas supply through PNG pipeline, exclusive parking slots for each floor, and much more. The project has Vaastu compliant and Feng-Shui ready spaces which will promote a sense of calm and serenity. Residents of Paarth Gardenia Residency will be able to enjoy a number of facilities including a cricket stadium, functional cricket academy, beautiful stretches of landscaped greens, state of the art clubhouse with amazing entertainment avenues, well-planned street architecture, theme-based shopping mall with multi-screen multiplex, optical fibre cable in entire township, Wi-Fi enabled zone, gated security, and much more. The project has the highest standard of living for home buyers. The BCCI certified cricket stadium in the project will be mentored by famous Indian spinner Harbhajan Singh and will help in grooming future cricketers. 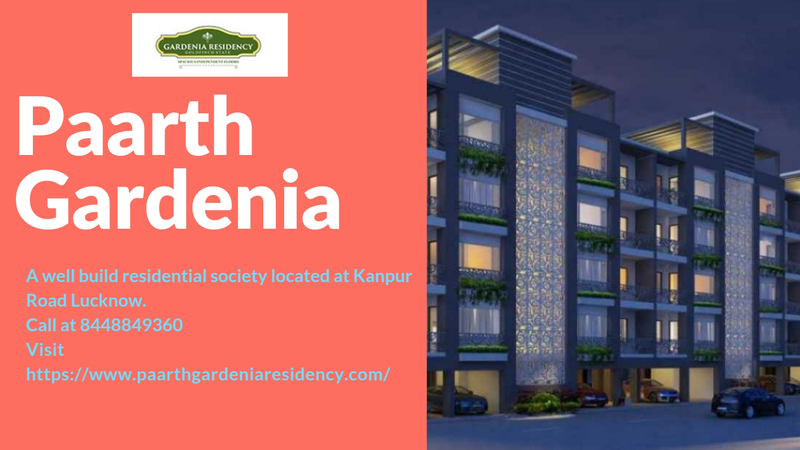 Paarth Gardenia Residency in Kanpur Road is one of the most sought-after projects in Lucknow due to its excellent facilities and amenities. Lucknow was considered as a Tier II city earlier, but now the city of Nawabs is graduating into a major metropolitan. Lucknow has seen the establishment of a number of major IT & service sector companies which has led to a boom in the residential and commercial property in the area. Paarth Gardenia is affordably priced starting at INR 59.76 lakhs. 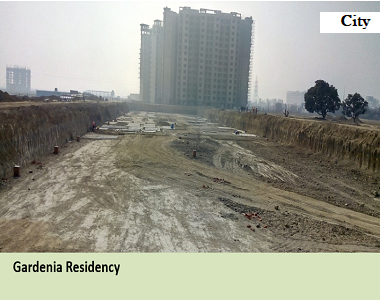 Paarth Gardenia Residency payment plan is designed to give maximum benefit to home buyers. The developer is offering a number of easy payment plans and has tie-ups with leading banks for the home loan facility. It is an excellent opportunity for investors and home buyers to purchase a property in Lucknow. Paarth Gardenia Residency Lucknow will be replete with premium services including a clubhouse, swimming pool, gymnasium, jogging tracks, manicured landscape, etc. It is one of the most sought-after properties in Kanpur Road. 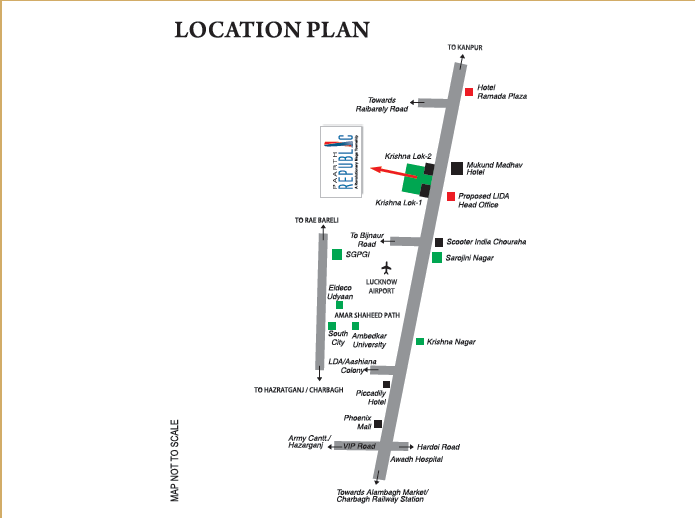 Located on Lucknow-Kanpur Road, the project is just 5 mins from International Airport and proposed metro station. It is one of the biggest residential townships in Lucknow. It is well-connected to other parts of Lucknow and surrounding areas. The project is near all social and civic amenities including leading hospitals, schools, banks, ATM’s, multiplexes, etc. The area has a number of key educational institutions including Spt Public School, Greenberry World School, Prathmic Vidyala Scooters India Lucknow, Manvata inter college, Moti Lal Rastogi School of Management, Jawahar Navodaya Vidyalaya, G.S.R.M. Memorial College of Nursing, Dream Playground School, and City Convent Inter College. Key medical facilities in the area are Shri Girija Medicose, Gulzar Medical, Rajput Nursing Home, Gayatari Medical Store, and Shyam Hospital & Research Center. With the number of health and civic facilities for home buyers, the project is ideal for families. So what are you waiting for? 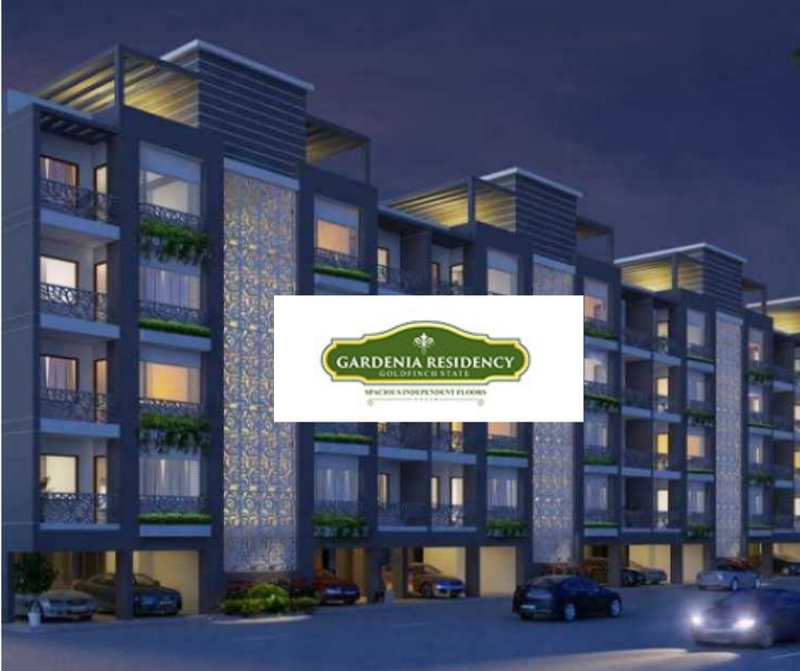 Investing in Paarth Gardenia Residency is expected to give good returns in the future. So hurry and book your home now! Gas supply through PNG pipeline. Exclusive parking slots for each floors. Fully air conditioned independent floors.